Pilgrim Skating Arena in Hingham, MA received two new Olympia IceBear Ice Resurfacers with LVR Laser Blade Control Systems. The two machines have been setup to operate on any of the rinks three sand based ice surfaces without any changes to the machine operational setup. 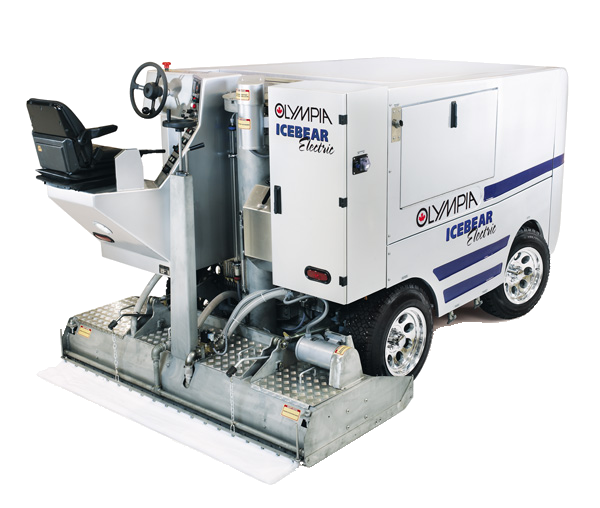 The Olympia Ice Center in West Springfield, MA has received their new Olympia IceBear Ice Resurfacers with LVR Laser Blade Control Systems and a Battery Powered Ice Edger. This will provide three IceBear machines at their location that have been setup to operate on any of the rinks three concrete based ice surfaces, without any changes to the machine operational setup.